3'x5' polyester flag with white header and two grommets. Most flags have four rows of stitches on the fly and two rows on the top, bottom, and header side. Image is screen printed and appears on both sides. The cross of St. Piran. 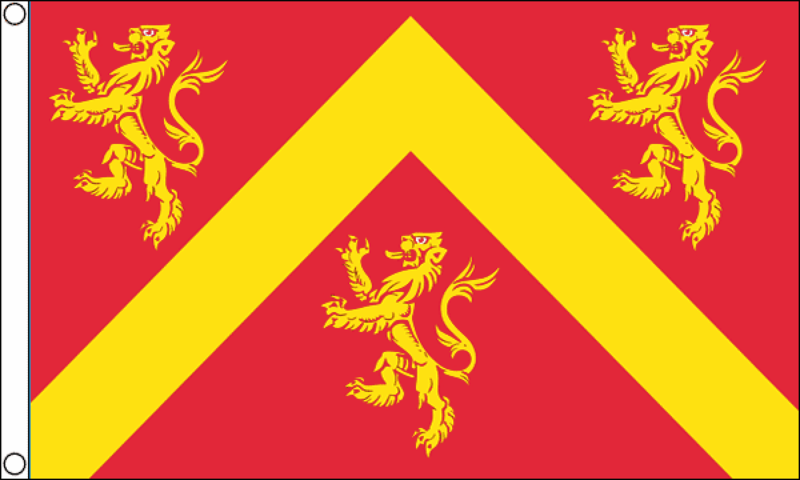 Cornwall is considered to be the Celtic part of England. 3ft. by 5ft. polyester flag with a white header and two grommets. The image is screen printed and appears on both sides. 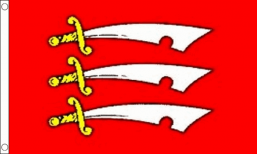 Part of the former Saxon Kingdom of Essex, or Kingdom of East Saxons. 3ft. by 5ft. polyester flag with a white header and two grommets. The image is screen printed and appears on both sides. Nottinghamshire is the location of the Robin Hood legends. 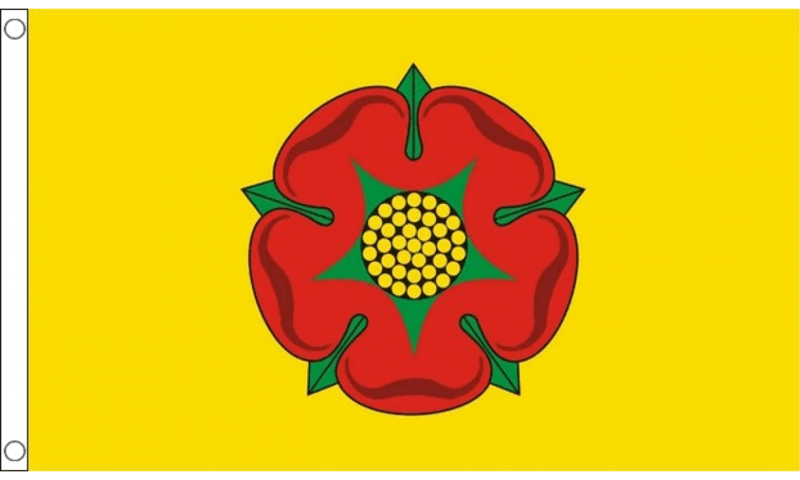 In 2011, a public referendum passed to change the county flag and feature an image of Robin Hood in the middle. 3ft. by 5ft. polyester flag with a white header and two grommets. The image is screen printed and appears on both sides. 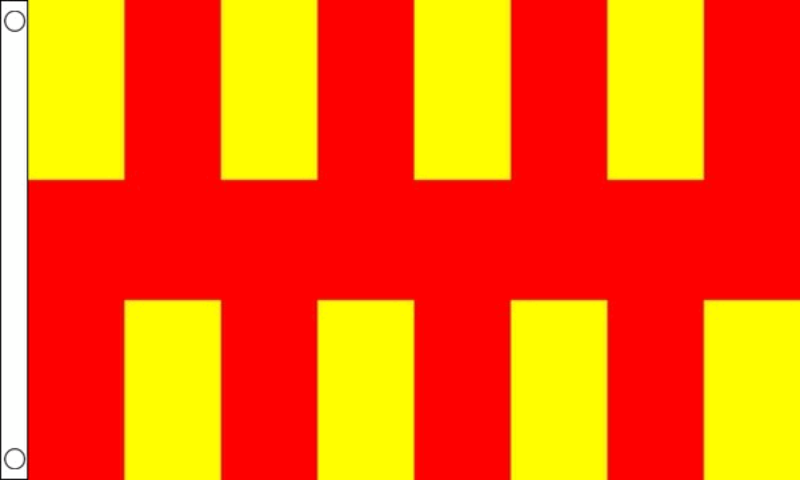 Part of the former Saxon kingdom of Sussex, or King of the South Saxons.